So, editing is finished on Shades of Avalon, sequel to Shades of Atlantis. I say finished, but the editorial team are still knee deep with reviewing my last minute tweaks and making sure everything is perfect with the manuscript before it goes to formatting. It really does take a large group of folks working together to bring books to life. Publishing often looks like hurry up and wait. In reality publishing is more like an iceberg and we usually only get to see the bit on top. Meanwhile, under the surface there is a whole lot more to see. Publishers make it all look so easy, so we sometimes forget there’s a lot of work going on. I know I do. The next thing I will see is the book galley, which I already know will be beautiful based on Omnific Publishing’s previous work. I’ve spent the last few months in back and forth conversations with my editor, Robin Lonscak. Let me tell you, if we added up all the comments and emails, we’d have quite the word count built up. The manuscript is now looking tiptop. I’m very proud of what we’ve achieved. To celebrate, I’m going to have a little giveaway. 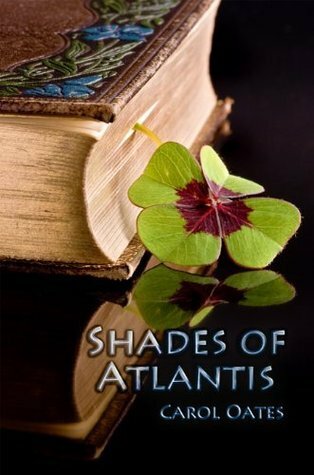 I’m offering a signed print copy of Shades of Atlantis for two winners. This giveaway is international. I’m going to keep it easy. Entry for adding Shades of Avalon on your Goodreads, entry for following on Twitter or spreading the word on Twitter. Finally, entry for Facebook followers. I’ll announce the winners next weekend. This sequel sounds awesome! Can't wait for this release!